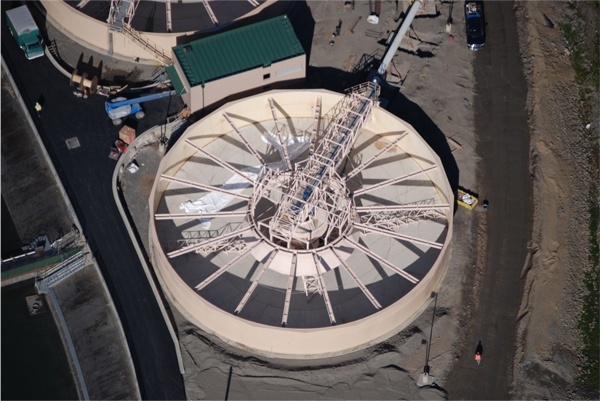 The WesTech Solids CONTACT CLARIFIER™ has the ability to act as both an enhanced flocculation device as well as a high rate chemical precipitator. 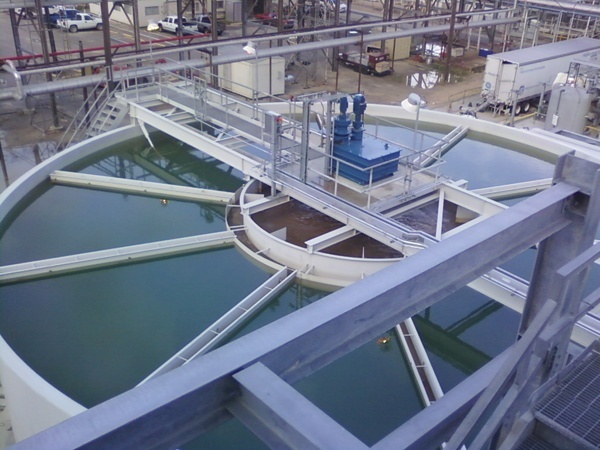 Mixing, internal solids recirculation, gentle flocculation and gravity sedimentation are all combined into a single unit. 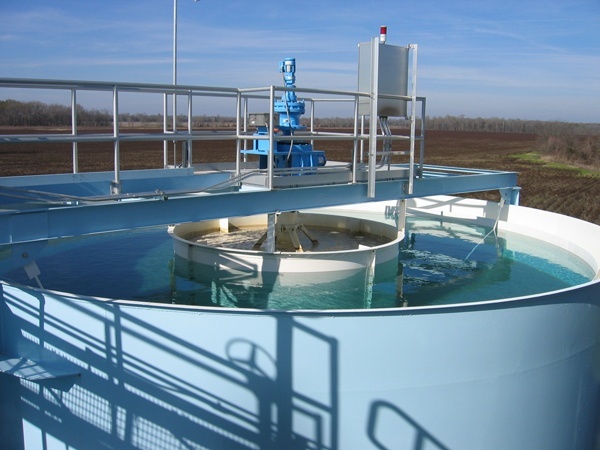 Influent flow is mixed with previously settled solids within the draft tube. Gentle mixing within the reaction well promotes agglomeration of floc particles and/or chemical precipitates. 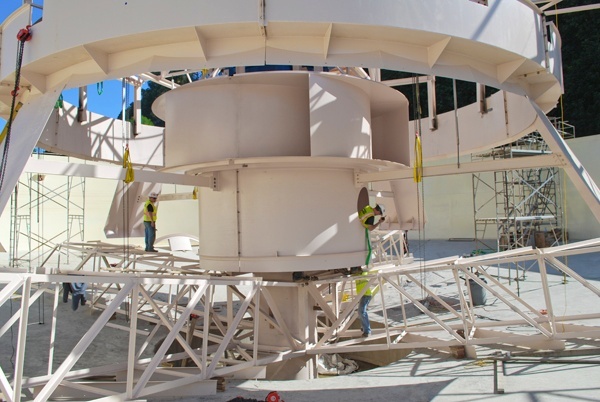 The aggregated solids settle out more rapidly in the clarification area. Even better clarity is achieved when particles become enmeshed in a sludge blanket layer. Rotating sludge scrapers transport settled solids to the center of the basin for removal. 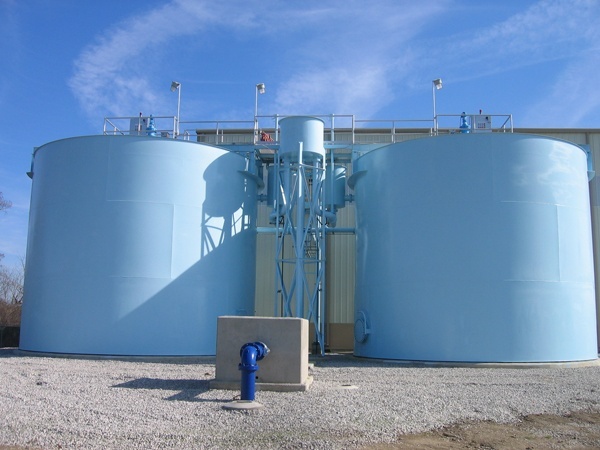 Clarified overflow is removed through a radial launder system that draws water from the entire surface area to prevent solids carryover caused by uneven velocity currents. 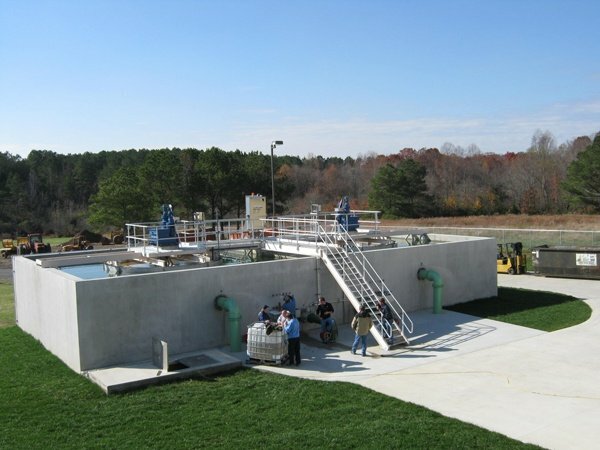 For high upflow rates, tube settlers can be added to increase the effectiveness of gravity sedimentation. 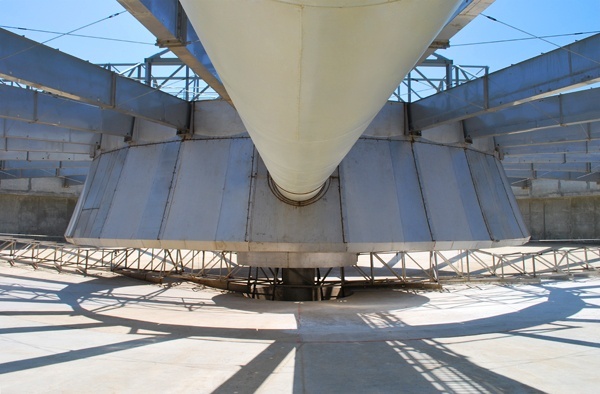 Because the Solids CONTACT CLARIFIER re-circulates previously settled solids many times over, less chemical input is needed and results are superior to conventional treatment methods. Efficient recirculation is provided by a low shear, high volume pumping impeller. This impeller is unique to WesTech and improves on traditional radial impeller designs. The sweptback curved blades of the impeller minimize horsepower required and the shearing of floc particles. 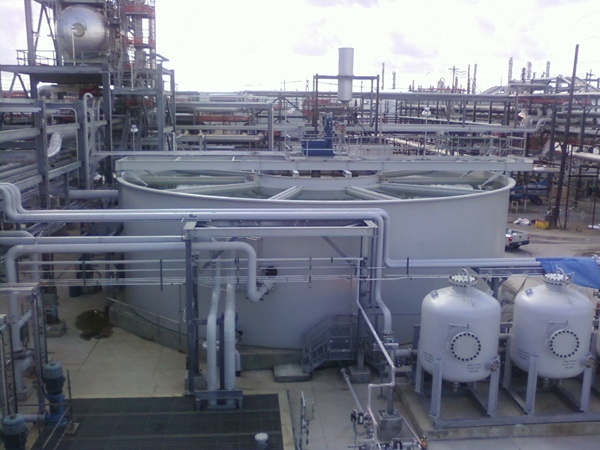 WesTech has custom-designed hundreds of Solids CONTACT CLARIFIERS in many applications, and can also retrofit installations of other manufacturers to provide improved performance. Low energy mixing for chemical reactions and formation of floc particles. Unique low shear high volume impeller. Utilizes the reliable WesTech heavy duty concentric dual drive. Gravity sedimentation clarification and enhanced flocculation in one unit. 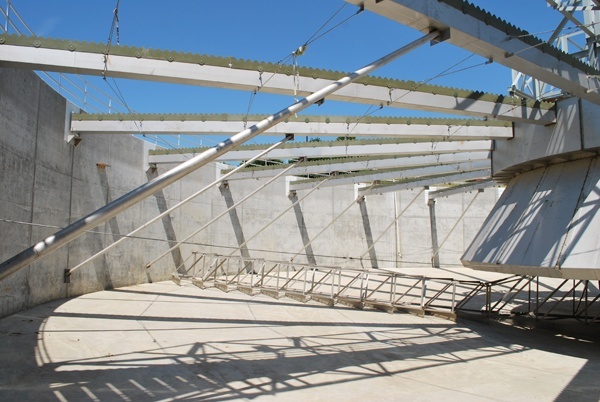 Requires less space than conventional flocculation and sedimentation train. 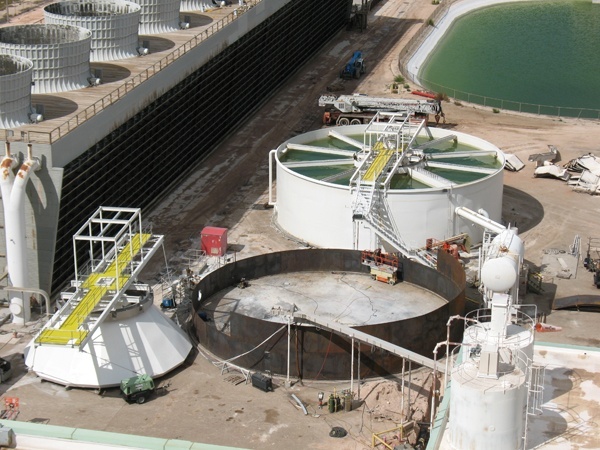 Considerable savings in terms of tankage, civil work, and operational costs. Available in center pier supported or bridge supported models. 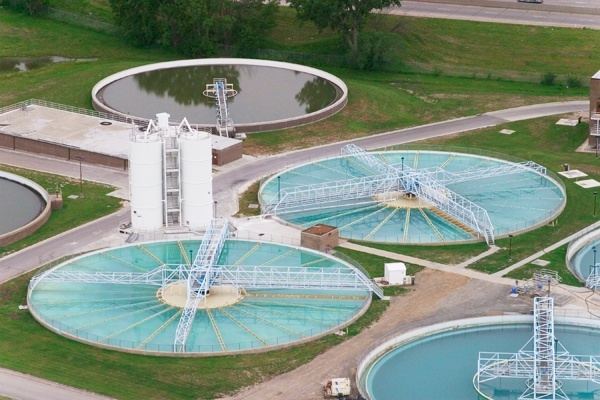 Influent feed enters through side of basin (either model) or bottom center (pier supported only). 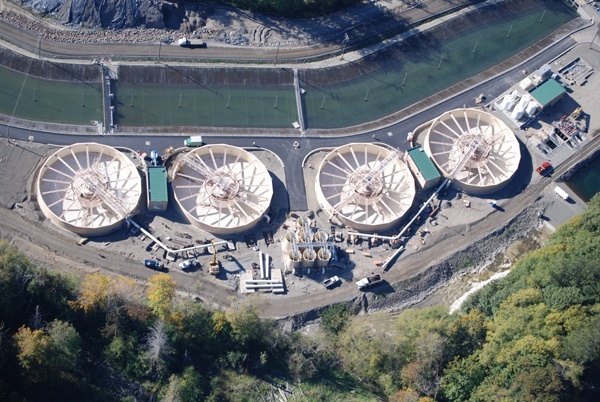 Launders may be submerged orifice, v-notch weir, or submerged pipe. Optional tube settlers can reduce footprint even further. Dual drive unit may be configured for either grease or oil lubrication. Food grade lubricants available. Drive includes four-point precision bearing with design life in excess of 100 years. Rake drive utilizes cycloidal and helical gear reduction without the use of chains or belts. 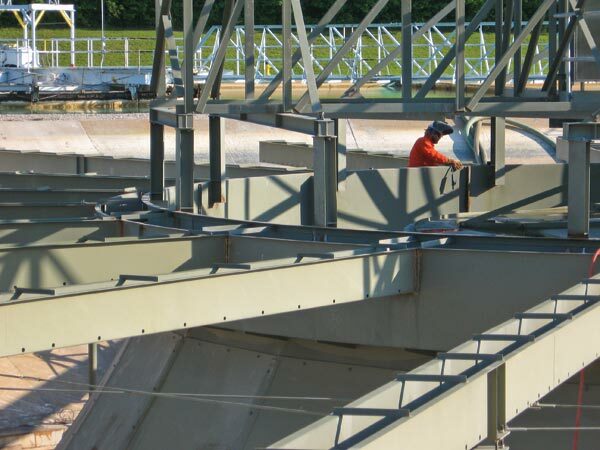 Steel tank or concrete basin. Material options include carbon steel with primer, all stainless steel, stainless steel submerged components only, etc.